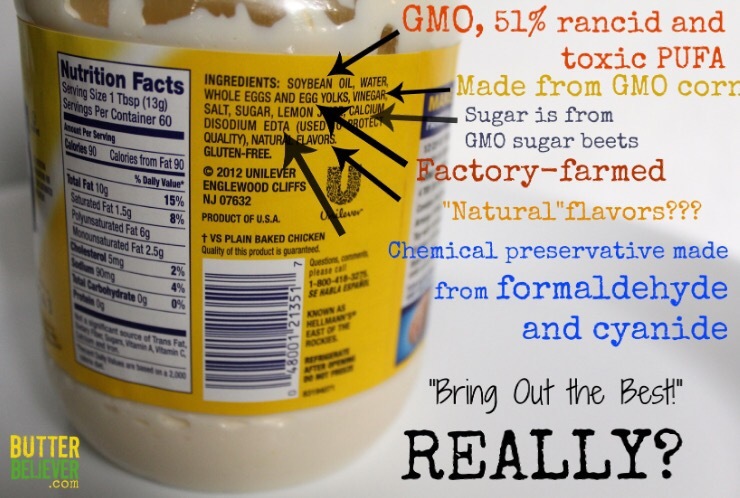 Okay, so we all know most store-bought condiments are going to have some junk in them, (chemicals, preservatives, high fructose corn syrup, unhealthy oils, GMO’s etc.) so …. for the past several years, I’ve bought small, organic bottles of mayo (to the tune of $10) thinking I was doing the best for my family in the mayo department. I noticed though, that a lot of the mayos were made with soybean oil, canola oil, grapeseed oil, and even vegetable oil! 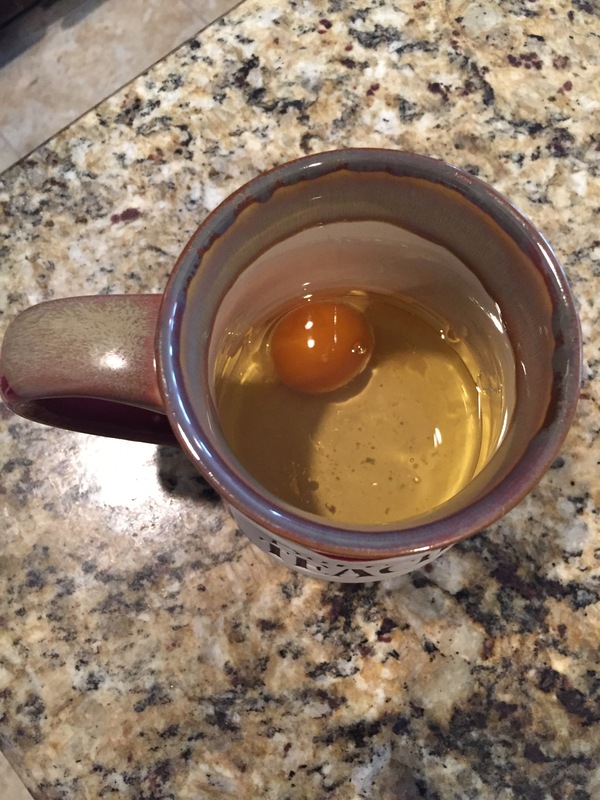 After reading this article http://articles.mercola.com/sites/articles/archive/2013/01/27/soybean-oil.aspx and several others, I realized that these weren’t the best oils to be putting into mine and my family’s bodies- organic or not. Now I don’t want to make a whole blog about how bad these chemicals and oils are, there’s a wealth of knowledge online from reputable sources for those truly interested (I love Dr. Mercola’s site and follow a lot of his advice), but I do want to share my solution to my mayo dilemma. The solution? I starting making my own! Hence, the point of this blog! Had I known how easy it was, I would’ve made it so many years ago! Okay, so I’m not gonna lie…. this mayonnaise making and I got off to a nasty, soupy start. 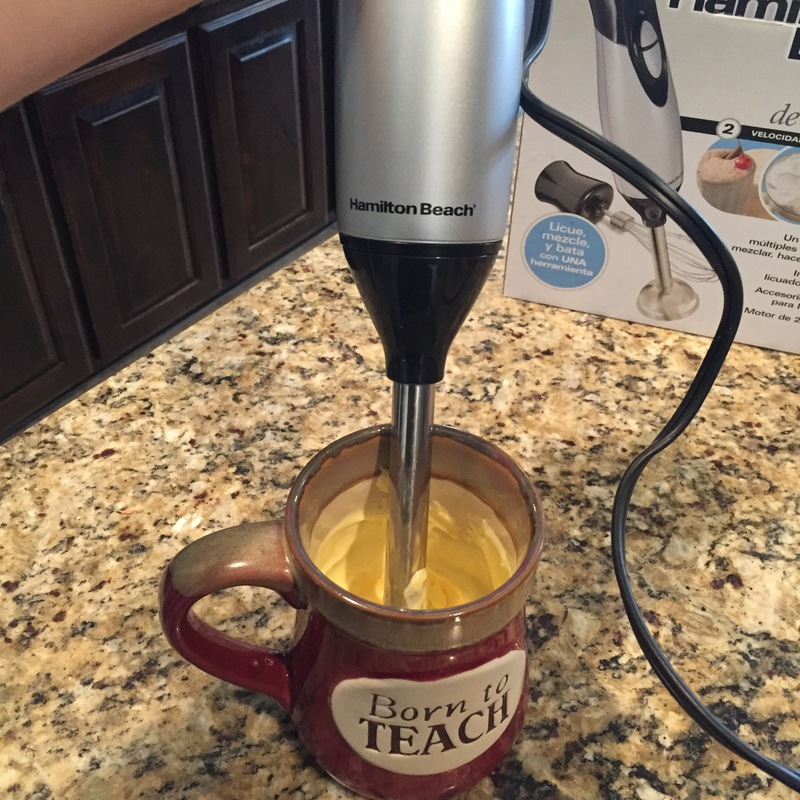 I tried a recipe where I had to make it in a food processor while pouring oil EXTREMELY slowly. OMG……it took forever and yeah, it didn’t work. BUT I didn’t get discouraged!!!!!! Ok, I actually did because it was such a mess! BUT…. I tried again. And this time it was sweeeeeeeet success and I just love the mayo I make now so much! It is so creamy, way way healthier, 100% Paleo, Whole30 approved, and just plain yummy! So, what made the difference? This gorgeous, magnificent, beautiful little tool right here is what did! 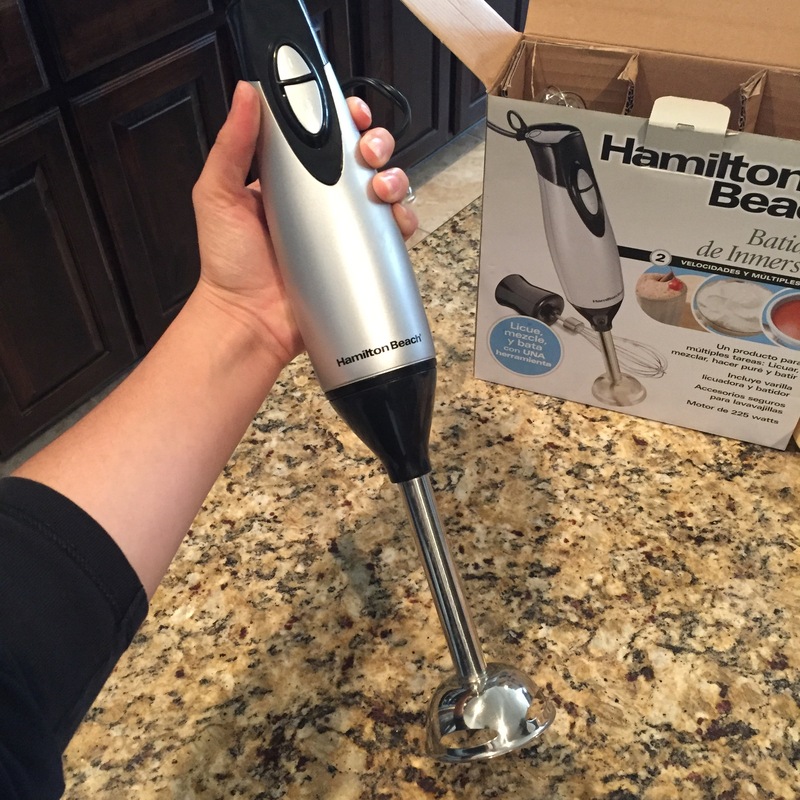 Meet my awesome hand blender! Y’all…. I was doing the processor method for almost ten minutes and it didn’t even work! So this was like a miracle before my eyes! Ten seconds and you have mayo! Ok, ok, I’ll share the recipe now! Here’s what you’ll need! Add all of the ingredients to a wide mouth jar or mug. 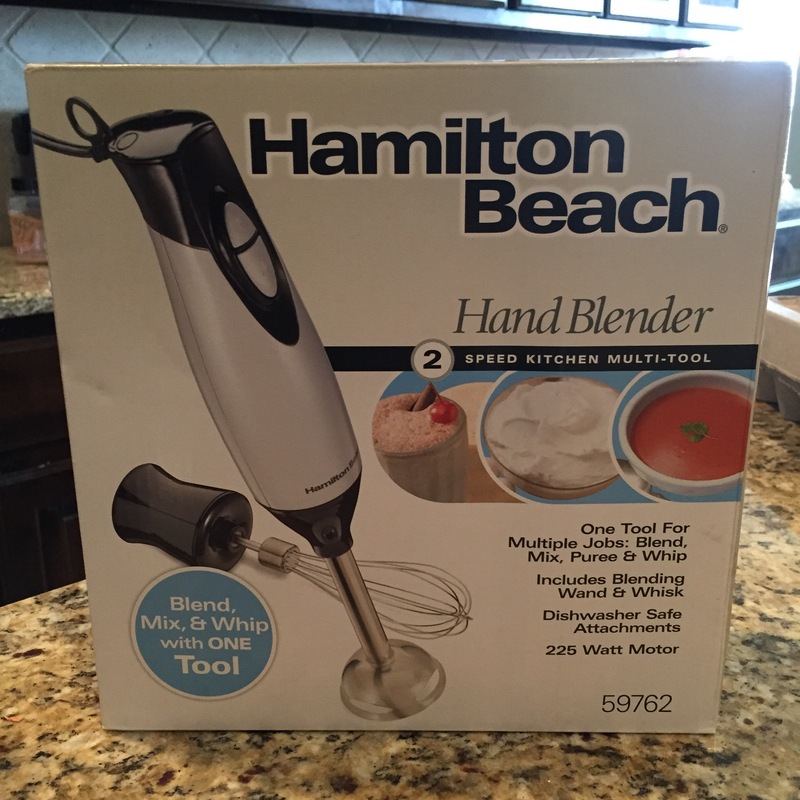 Stick the blender all the way to the bottom of the jar and move up until everything is blended smoothly. And Voila! MAYONNAISE! The biggest thing that I can stress is to use an oil that has a light taste- not super strong. This will give you the best tasting mayo. I recommend starting with an extra light extra virgin olive oil. Make sure it says light. If you use regular olive oil, it will taste disgusting. 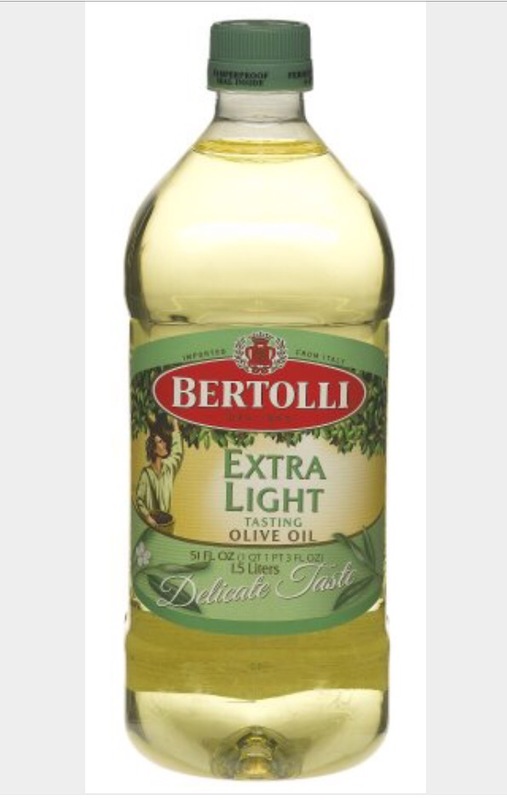 Here’s a great extra light tasting olive oil you can pick up at Kroger or Wal-Mart! My favorite oil to use is avocado oil! It’s great for your brain and has other awesome health benefits. Some people may prefer the extra light taste of the light olive oil though, so just make both and discover which one you like best! 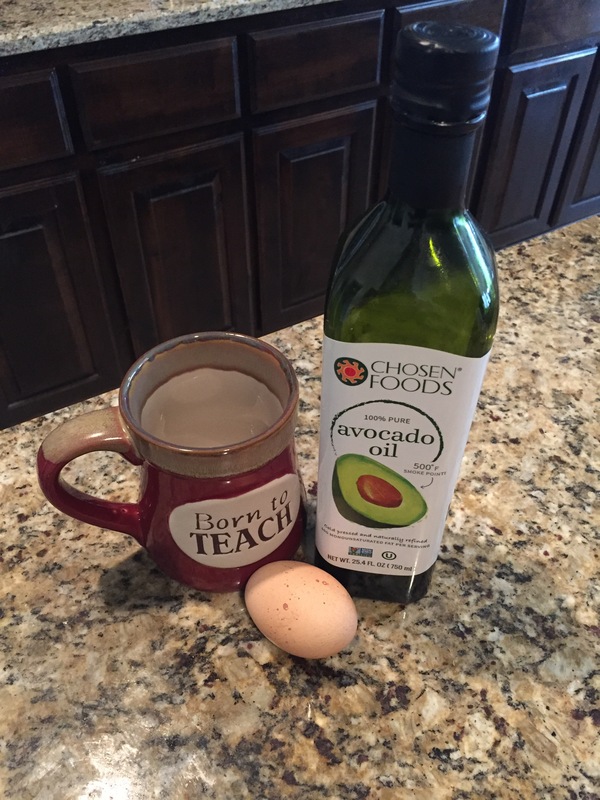 I buy the Chosen Foods brand of avocado oil (pictured with recipe) which can conveniently be found at Wally World, Kroger, Whole Foods, and most health stores. I put lime as optional, but I totally recommend it! Sorry, I forgot to picture it! It makes such fresh, yummy mayo! And please add a pinch of salt and add a little more if it still isn’t tasting good! It doesn’t take much but it could make all of the difference in taste for you! Please let this recipe change your life as it did mine! Play around with it! You can make garlic mayo, chipotle mayo, the sky’s the limit! I promise, I barely even feel guilty when I eat this mayo or cook with it. Go make it friends!!! And please let me know if you have any trouble or questions! Previous Post Why this year will be different. I keep it for usually up to about 5 days, if it lasts that long! I love making tuna salad, chicken salad, deviled eggs, and lots of goodies with it! Thank you for the kind words! And yes it is. 😦 even in “natural” items. 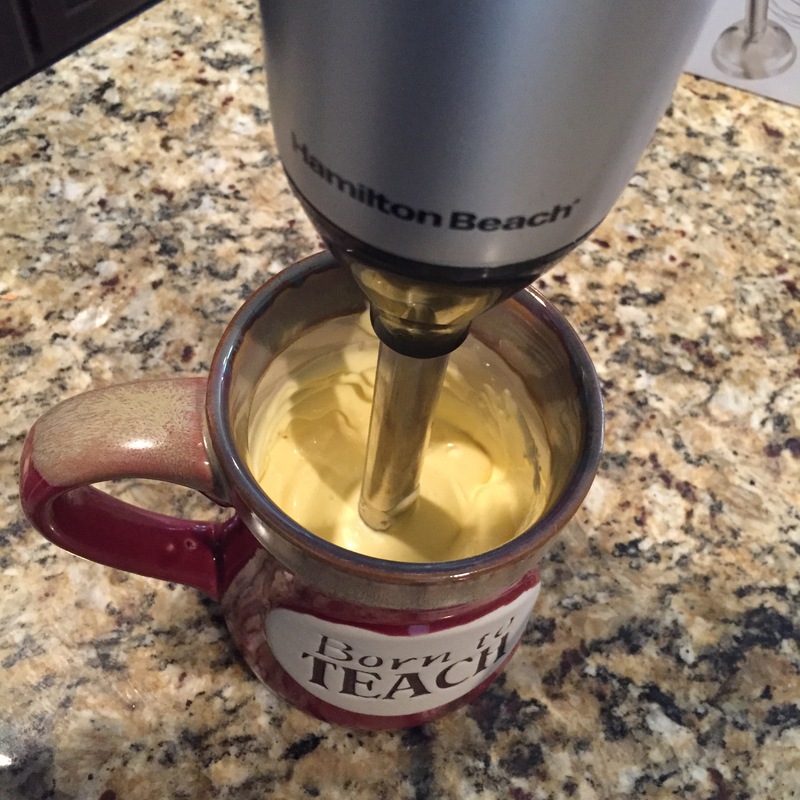 I’ve been making whole egg mayo for years, blender style, it’s fantastic. My favorite variation is garlic basil with a hint of paprika. For a 16 ounce jar, I can usually use it for 2 to 3 weeks if I keep it in the coldest part of my fridge. Love your posts!